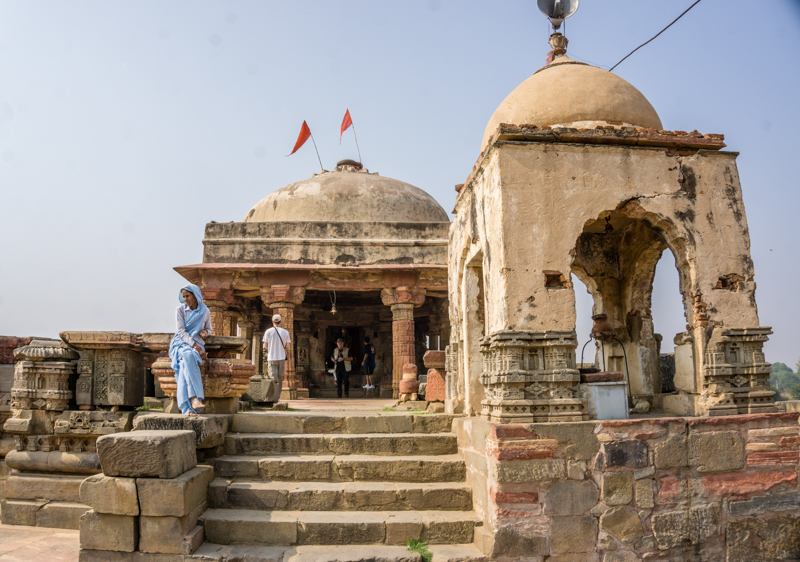 On our way from Jaipur to Agra we stopped by an ancient step well. Now when I heard the words ‘step well,’ I imagined a round well with steps going down to the bottom, kind of like a spiral staircase. But no no, this was something a thousand times more impressive! 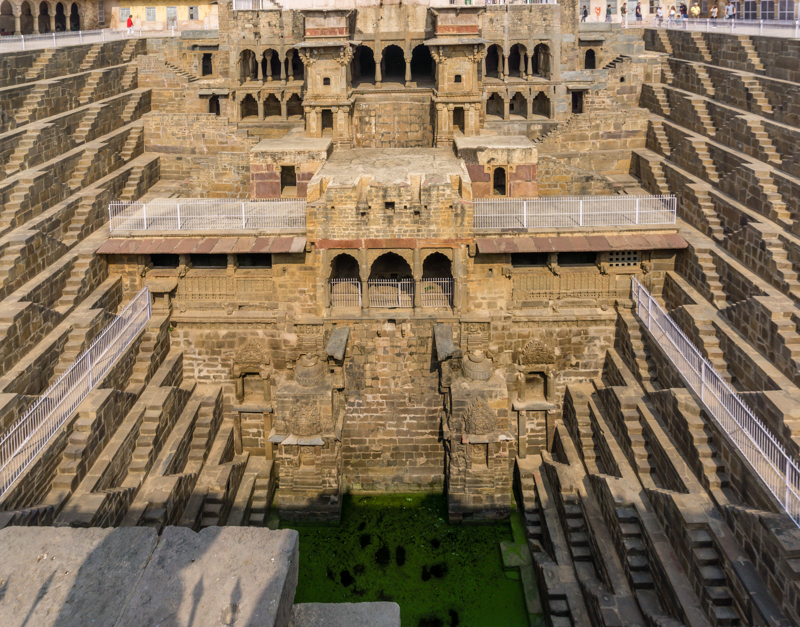 This step well in Jaipur was built so that the people can hang out on the stairs near the water, where the temperature is much cooler than at the top. 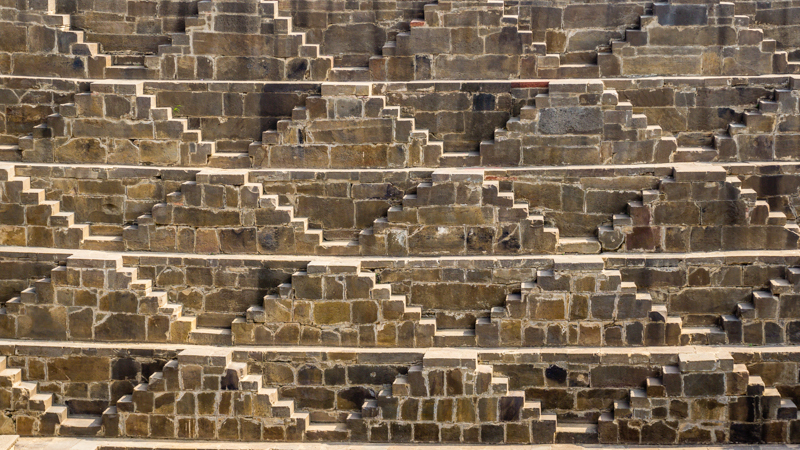 People would spend time on these stairs during the hottest parts of the day, finding relief from the heat. 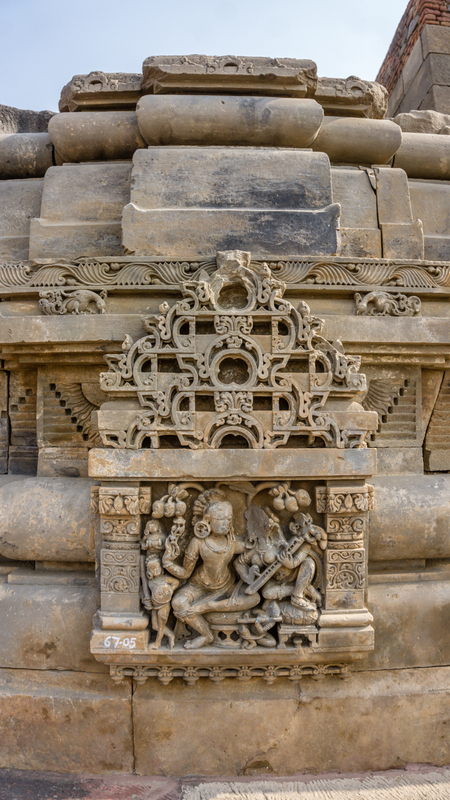 There was also a special covered area built for the noble people. Of course. 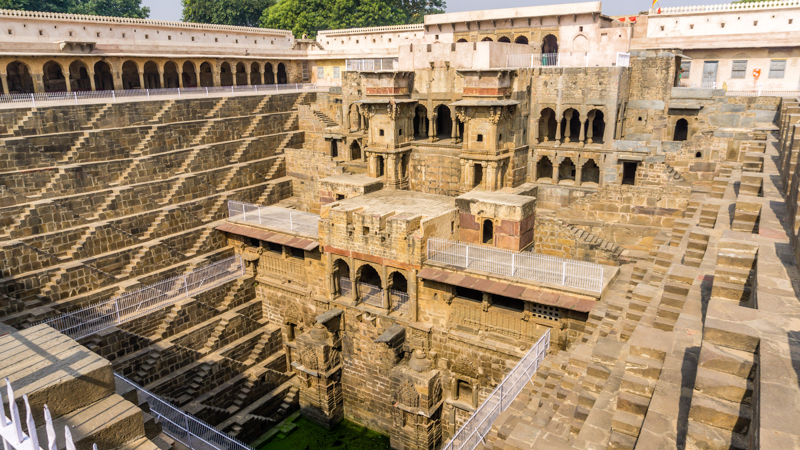 This is the largest step well in the world. 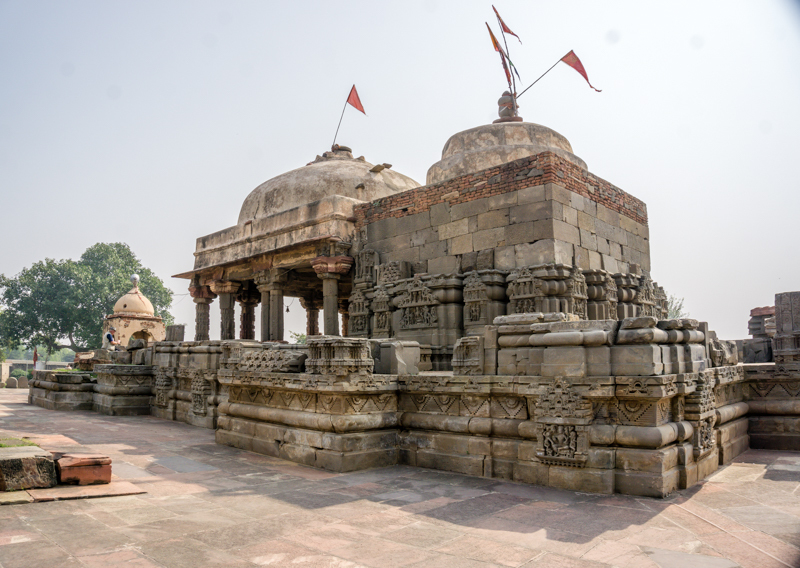 Near the step well was an ancient temple. This temple was much older than other temples we saw, and though it was not as grand, it did have a very spiritual feel to it. 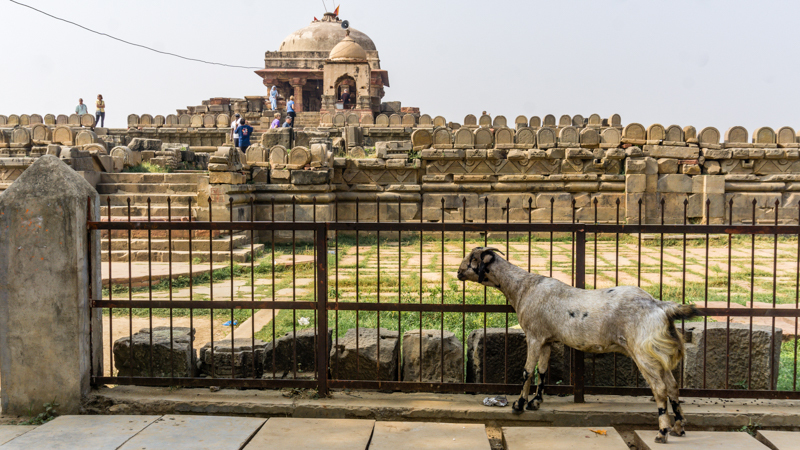 Outside of the step well and the temple, our tour guide gave a few rupees to a local guy who was making clay cups. 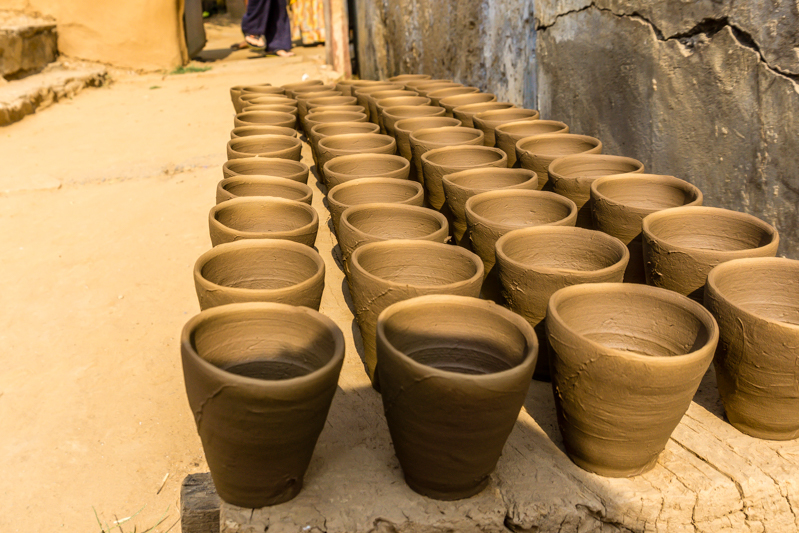 India is trying to cut down on plastic, so they pay potters to make one-time use cups out of clay. This guy can make a cup every few seconds!! 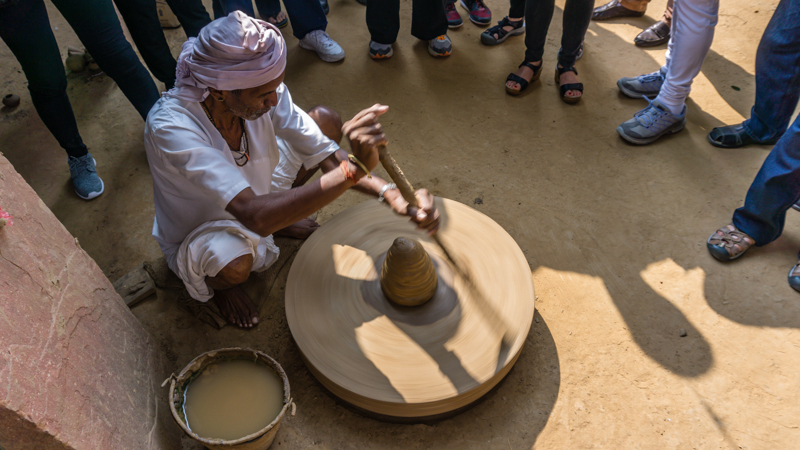 His spinning wheel is hoisted on a small stake, and he spins the wheel by hand every few minutes as needed. Incredible!